The New Orleans-Atlanta game did just that, finishing in a 43-37 Saints win and going well over the Vegas game total of 53 points. Matt Ryan (374 pass yards, five TDs) and rookie wide receiver Calvin Ridley (seven catches, 146 yards, Three TDs) each put up nearly 40 fantasy points, with Julio Jones being mostly held in check. Saints running back Alvin Kamara was able to exploit Atlanta's pass defense, catching 15 balls and putting up 190 all-purpose yards. Quarterback Drew Brees joined the party with more than 400 total yards and five TDs, while Michael Thomas had 10 catches for 129 yards. In total there were more than 250 fantasy points scored in this game alone and more than $2.5 million in payouts to users who stacked this matchup on FanDuel and DraftKings. The Chargers have a team total of more than 28 points in this home game against a 49ers team that has averaged 29 points against through three games and just lost QB Jimmy Garoppolo for the season to an ACL tear. Quarterback Philip Rivers will look to exploit the 49ers secondary, which has given up eight TDs through the air. He can be paired up with wide receiver Keenan Allen, who leads the team in both red zone targets (four) and 24.3 percent of the team's total targets. While there is some risk that the Chargers pull ahead in this game, leaving Melvin Gordon with a bigger workload, if you are playing the passing attack you should also consider targeting 49ers players. With the 49ers expected to be trailing, look for quarterback CJ Beathard to continue to lean on tight end George Kittle, who is tied for fourth among all TEs with 20 targets through the first three games. The Colts return home to the fast track on the turf in Indianapolis after consecutive road games against strong defensive teams in Washington and Philadelphia. With a game total of 47 and a close spread, Las Vegas bookmakers expect this to be one of the more tightly contested games that could lead to many fantasy points from both teams. 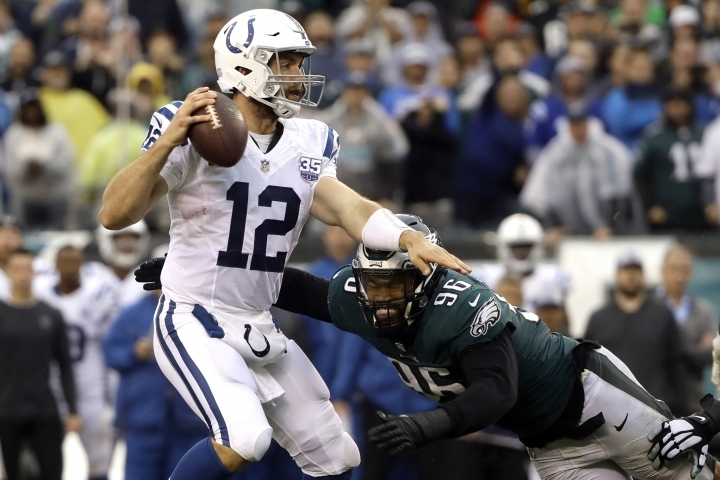 As a starting point, pair Andrew Luck with T.Y. Hilton, who has now seen at least 10 targets in three straight weeks and over his career has better averages playing with Andrew Luck. If Jack Doyle is out again, Eric Ebron would make for a strong secondary target to pair with Luck and Hilton. On the Texans side of the ball, both Will Fuller and DeAndre Hopkins are attractive targets for the game stack and together represent 59 percent of the targets this season from QB Deshaun Watson. For users who are building multiple lineups, this game makes for an excellent target with many ways you can stack. In addition to Luck (with Hilton, Ebron and Fuller or Hopkins) you can also stack Deshaun Watson with Fuller and Hopkins as well as either Ebron or Hilton. Regardless of which game you choose to stack this week, it is important to be aware of the increasing number of daily fantasy sports tournaments that are being won via stacking.